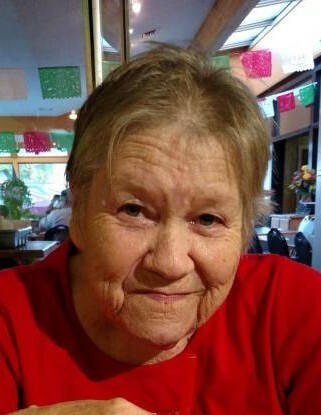 Sharon Wade 78 of Sunnyside, WA died peacefully at her home surrounded by her loving family on March 15th, 2019. Sharon is survived by her husband Bob Wade of 23 years, along with her seven children; Kevin Hill, Terry (Kim) Hill, Jerry Hill, Alauna (Bart) Piper, Christine (Gabe) Virgil, Jeff (Michelle) Hill, and Shellie Reymundo. Sharon was proceeded in death by five of her six siblings. She is survived by her sister Ruby Joyce Jensen. In combination, Sharon has 20 grandchildren and many great-grandchildren, nieces, and nephews. Sharon had a passion for dogs and was comforted by her dog April during her last days. Sharon enjoyed being a social butterfly, which included traveling throughout the US to see family, friends and new places. She also enjoyed playing bingo, as well as the occasional stop at a local casino. Sharon will be greatly missed by all! Memorial Service will be held Saturday, March 23, 2019 at 12:00 pm at The Church of Jesus Christ of Latter-day Saints in Sunnyside, WA. Those wishing to sign Sharon’s online memorial book may do so at www.funeralhomesmith.com Smith Funeral Homes in care of arrangements.